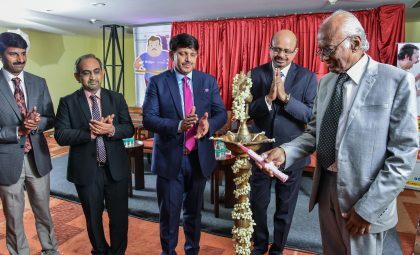 Chennai: VS Hospitals announced that it has entered into a strategic tie-up with Ahmedabad-based Asian Bariatrics Hospital pioneers in the field of Bariatric surgery (weight loss surgery) to set up an exclusive Center for Bariatric & Metabolic Surgeries in Chennai. The center will offer a holistic approach to obesity and its related problems. Many non-communicable diseases such as hypertension, diabetes mellitus, malignancies, migraine, metabolic syndrome, Polycystic Ovarian Disease (PCOD),infertility, knee and joint pain, depression, sleep apnea, acid peptic disease, rheumatoid arthritis and gout are associated with obesity. “Bariatric surgery is not only for obese people. It is fast becoming a lifeline for people suffering from uncontrolled diabetes. World over one person dies of diabetes related complications every second. When people cannot control diabetes through diet, exercise or medication surgical intervention at the right time will help them reduce or even get cured from diabetes and its related complications.” said Dr.Mahendra Narwaria, Robotics & GI Surgeon &Chariman, Asian Bariatrics. “Having performed more than 6500 successful surgeries, we have wonderful results to showcase over time. A good percentage of the patients we see at our Ahmedabad hospital are from South India and hence setting up a center in Chennai will help serve this part of the country better.” added Dr.Narwaria.